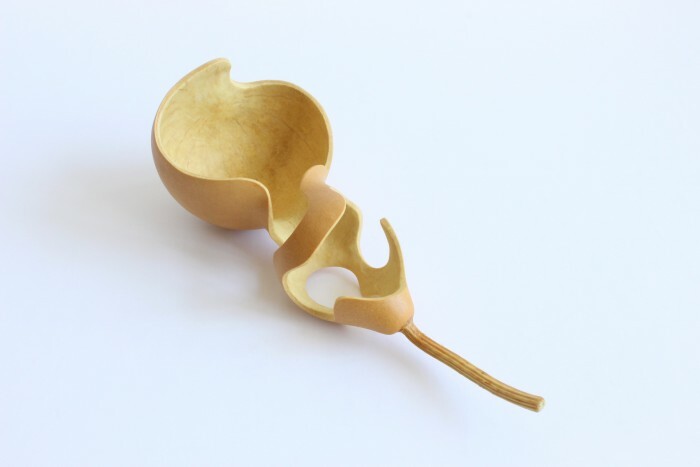 This bowl is made of calabash. 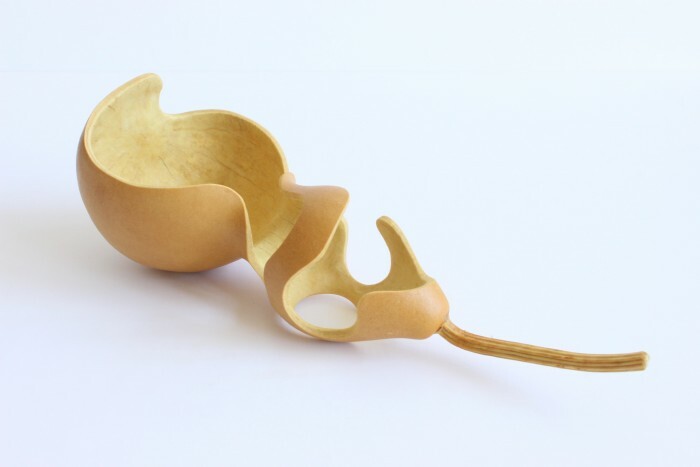 Part of the bowl and spoon carving project from Tala Yuan aiming to transform the beautiful natural form into organic, soft and feminine usable sculptures. 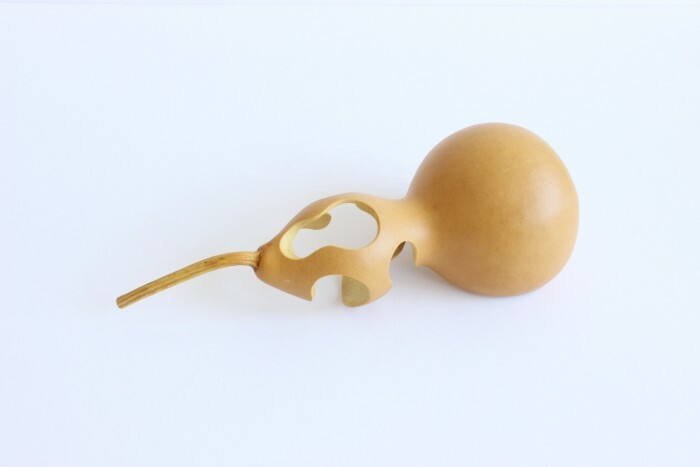 In China, calabash has historically been used to make receptacles. 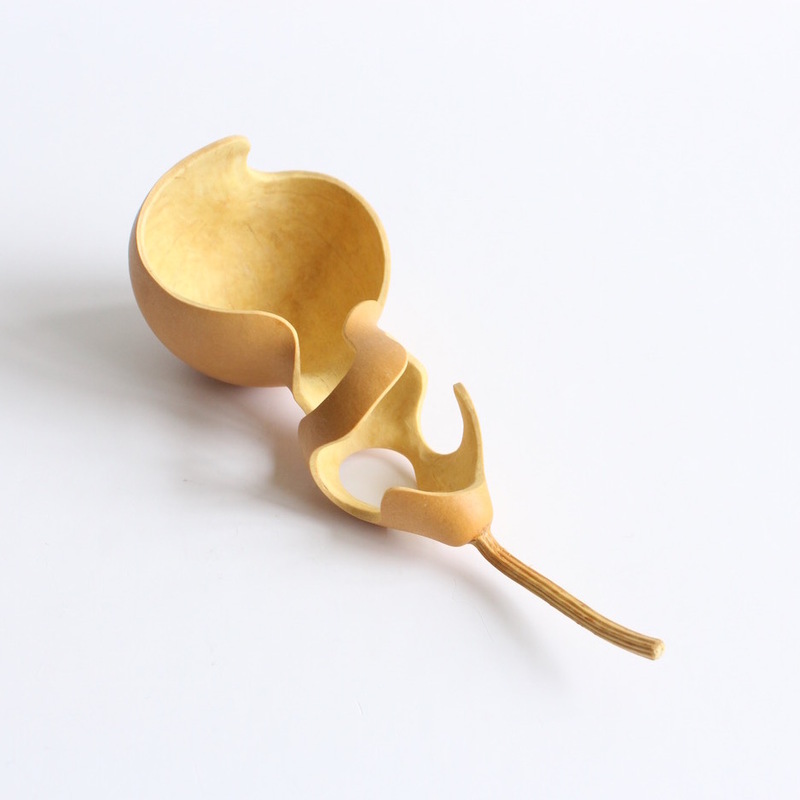 Tala Yuan transforms this traditional material to create pieces with a contemporary language. Users will experience a range of emotions, like a child just learning to eat, full of curiosity. Techniques: sawing, filing and polishing. Cleaning instructions: The bowl can be carefully cleaned with water and soap. Wipe the bowl dry with a cloth and leave it so the remaining moisture can evaporate. Once the bowl is dried apply a bit of linseed or walnut oil.